Just came across my desk this afternoon! 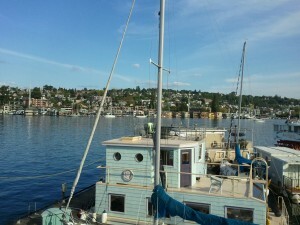 Seattle Houseboat lending is wide open again! We have great news to share…… We are back online with our houseboat lending program. Below is the update we have made to our program guidelines. Minimum of 2 months documented reserves required on all transactions. You can reach Denise at 206-398-5581 if you have questions about houseboat lending. Denise also does Seattle floating homes lending. As always if you are interested in Seattle houseboats, please let us know – we would love to show you some of our favorites – both on the market and off.